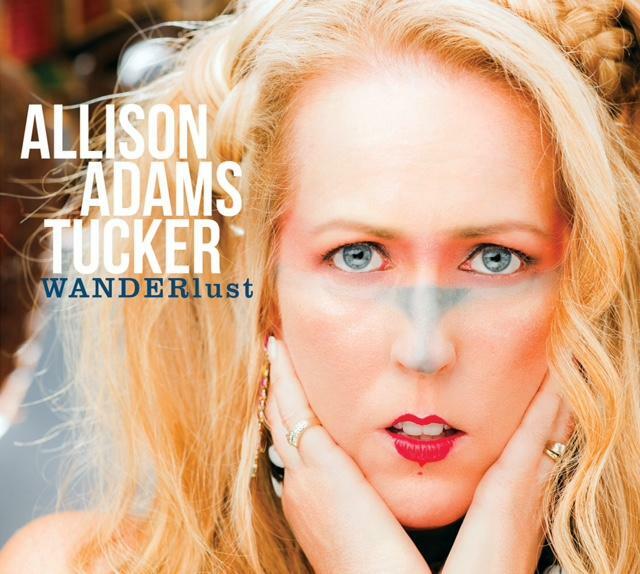 Vocalist Allison Adams Tucker is set to perform in San Diego at Sunset Temple Theater on Friday, September 16 at 8:00pm in celebration of her upcoming release, WANDERlust. Tucker will be joined by bass clarinetist and tenor saxophonist David Burnett, guitarist Peter Sprague, pianist John Nelson, bassist Edwin Livingston, and drummer Dan Schnelle. Recorded in New York City under the direction of award-winning producer Matt Pierson (Brad Mehldau, Becca Stevens, Joshua Redman, Jane Monheit), WANDERlust features a stunning all-star ensemble that not only bridges west and east coasts but adds flavors from around the world. The singer and her longtime pianist Josh Nelson are joined by New York jazz heavy-hitters Chris Potter, Matt Moreno, Scott Colley and Antonio Sánchez, along with percussionist Rogério Boccato and guitarist Romero Lubambo (both from Brazil) and French guitarist Stéphane Wrembel. Tucker’s versatility is remarkable not only for her ability to sing in a half-dozen different languages but to weave entrancing and expressive stories in each of them. Regardless of whether the listener understands English, French, Portuguese, Italian, Spanish and Japanese, the emotion of every word is crystal clear thanks to Tucker’s lucent articulation and supple, silken phrasing. Growing up in the border city of San Diego, Tucker was exposed to intermingling cultures from an early age. While still in kindergarten, a Spanish-language childrens book suddenly brought to light the fact that people in different places spoke different languages, and the desire to explore those far-off places was ignited within her. “It was an epiphany for a five year-old child that there was another world out there that was very different than mine and had all these different ways to communicate,” she recalls.